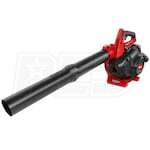 Vacuum up your yard with one of our many gas leaf blowers/vacuums. Do they all look the same to you? They’re not. Our lists of best-selling, top-rated and expert-recommended gas leaf blowers/vacuums will help make choosing the right product a piece of cake. 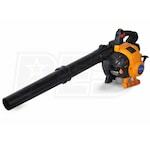 For even more, check out our Gas Handheld Leaf Blower Buyer’s Guide. 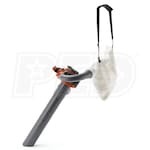 Best Gas Leaf Blower/Vacuums - View Our Top-Rated & Best-Selling Hand-Held Leaf Blower Vacs. Our leaf blower how-to library can help you pick the perfect leaf blower, walk behind leafblower, cordless leafblower, battery powered leaf blower or leaf blower accessory.